About Us - Piontek Funeral Home Inc.
Bernard J. Piontek is a 1966 graduate of St. John the Evangelist High School, Pittson. He graduated from Luzerne County Community College and is a 1971 graduate of the American Academy McAllister Institute of Mortuary Sciences Inc, New York City. 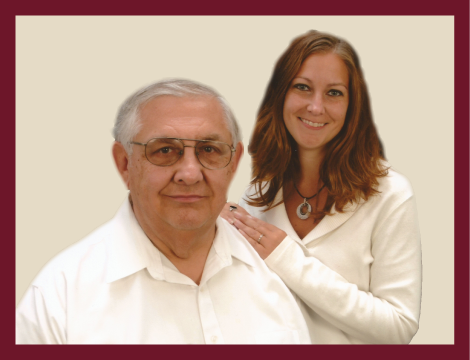 Bernard has been a licensed funeral director since 1972. Bernard is a member of both the Luzerne Country and the Pennsylvania State Funeral Directors Associations. He has served as a Deputy Coroner for Luzerne County since 1982. Bernard is a member of Nativity of Our Lord Parish, Duryea. He is married to the former Karen Walsh and is the father of four daughters; Marlene, Michelle, Marissa, and Mary Lynn. He also has five granddaughters: Jessica, Kate, Abby, Julia and Lauren. Michelle R. Piontek is a 1994 graduate of Seton Catholic High School, Pittston. In 1997, she received her degree in Funeral Service Education from Northampton Community College, Bethlehem. Michelle has been a licensed funeral director since 1998 and has been supervisor of the funeral home since June of 2012. Michelle is a member of the Luzerne County Funeral Directors Association, where she currently serves as President. Michelle is also a member of the Pennsylvania Funeral Directors Association. Since 2000, she has being serving Luzerne County as a Deputy Coroner. Michelle is a member of Nativity of Our Lord Parish, Duryea where she serves on the social activities committee, financial council and is Vice President of the Women's Society. She resides in Duryea with her two dogs, Allie and Callie. Frank E Piontek (1912-1982) was born in the Junction Section of Pittston. He attended Pittston Schools, graduated from the Eron Preparatory School and was also a 1939 graduate of the McAllister School of Embalming, both in New York City. After working in New York City for several years, he moved to Philadelphia where he received his Pennsylvania License in 1945. He returned to Duryea opening an office on Stephenson Street. 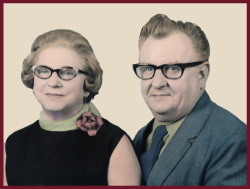 Frank and Mary were both active in numerous church and civic organization throughout their lives. Frank Piontek and his wife, the former Mary (Maskurak) Mullins who passed away in 1972, purchased the present property in 1952.